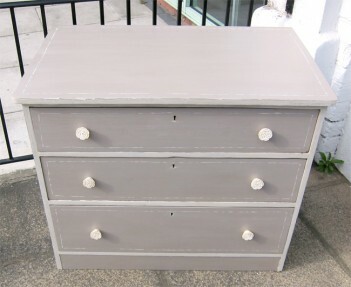 1930's painted solid Oak chest of drawers, painted in Grand Illusions Vintage paint in "Mousse" and "Linen" and varnised. New rose handles added. Currently featuring in our window display at the shop. Free local delivery or collection only please.